Alcohol abuse or addiction can be manifested in many ways and has devastating effects on the individual’s physical and mental health, relationships, social life, and work. It is a legal substance that lowers anxiety and inhibitions. Furthermore, everyone whose life is negatively affected by this substance on a regular basis is considered to have a problem with alcohol use. What is Alcohol Self-Detox, also called Alcohol Detox At Home? Simply put, self-detox from alcohol is an approach to giving up drinking that involves either stopping alcohol use “cold turkey” or tapering use off gradually, with minimal to no outside help. Here’s how the process typically works: the person sets a “quit date,” and then either stops drinking instantly or gradually reduces their intake over time. 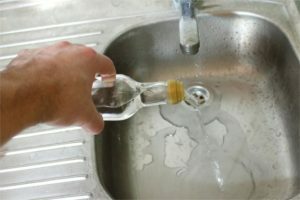 People attempting alcohol detox at home try to avoid the triggers that force them to grab a drink, so they often keep themselves busy in their favorite activities to keep the cravings at bay, use vitamin supplements, start doing exercise, and eat a healthier diet, all to hopefully facilitate a successful detox from alcohol at home. In this article we present a number of facts about alcohol self-detox. Detoxing from alcohol on your own is a complex and risky process, so if you or a loved one attempt “DIY alcohol detox” and need to ask questions or seek help, please know that you can call our 24-hour hotline at 1-888-459-5511 at any time to speak with a knowledgeable representative. While some of the people who use this approach to stopping drinking talk to their doctors to assess how to detox from alcohol at home safely and whether self-detox is a viable option for them or not, most do not. So in far too many cases, the only outside help they get is from friends and family. This article is for them. At AddictionResource, we feel that medically-supervised alcohol recovery programs are much less risky, and have FAR greater chances of succeeding. But because we know that many alcoholics won’t ever take the step of talking to a professional, and will instead try to “do it themselves,” in this article we provide a kind of short “Alcohol Detox At Home Guide” to help them do it safely. How Successful Is At-Home Alcohol Self-Detox? The success rate for alcohol self-detox is only 30%, and continued sobriety for over 4 years after self-detox is less than 90%, according to a study published in the journal Drug and Alcohol Dependence. It is rarely successful and many people give up within the first 24 hours. Detoxing from alcohol can be a painful process, and it is more dangerous for heavy drinkers, those who consume alcohol to avoid symptoms of withdrawal. Remove ALL alcoholic beverages from your home – this is obvious, but a crucial step. Clear your schedule – the time required for complete detoxification could take weeks. Make sure nothing stands in your way. Get support – make arrangements with family members or friends who will make sure you are OK, and who will be there if you need anything. Focus on hydration – make sure you drink enough fluid, because this will help to rehydrate your body and get rid of toxins. Take vitamins – B-complex, Niacin, vitamin C, magnesium, and zinc. Experiment to see which ones work best for you. Alcohol detoxification can be done at home, under very limited circumstances. Alcohol detox at home is usually safe for the binge-drinker who only parties on the weekend because their bodies have not developed the full-blown addiction. These drinkers may become seriously uncomfortable while attempting self-detox from alcohol, but most likely this discomfort will not move into the life-threatening category. That said, a person should NOT attempt to cope at home without an overseer, a supervisor per se. This is especially true of the “Tapering Off” approach to self-detox. It can be done safely IF there is someone else present monitoring the quantity of alcohol consumed, and IF the person is allowed to drink only a beverage with a lower alcohol content, like beer, and IF this consumption is doled out by the supervisor only. If the alcohol-dependent person is left to monitor himself or herself, in most cases the individual will increase consumption to avoid the pain of withdrawal. “Cold Turkey” implies sudden secession of alcohol consumption. This method can be effective for some because it quickens the path to recovery. It is much harder than the second “Tapering Off” method, but it has proven to be the right choice for some. It is not recommended to quit alcohol cold turkey. One never knows how exactly an individual’s body is going to react, and thus one cannot precisely know what to anticipate. This is one of the reasons why alcohol detox should be professionally monitored. Tapering off is a method of alcohol detoxification that consists of slowly reducing one’s amount of daily alcohol intake. It is a less severe approach with regard to unwanted side effects such as stomach pains, nausea, and other uncomfortable symptoms. Many people choose beer as a tapering off tool, so if you are a beer lover, this could work in your favor. If you opt for this detox method, make sure to limit your daily alcohol intake consistently and not fluctuate back and forth. Overall, alcohol home detox is neither the most effective nor the safest method of quitting your alcohol addiction, but in some cases, it is an inexpensive and efficient one. Having someone around to make sure you are stable is always a good idea, so if you choose to undergo self-detox from alcohol, remind your best friend, family, or even your doctor to check on you regularly, just in case. This is essential if you want to practice safe alcohol detox at home. The risks of alcohol detoxification at home far outweigh the benefits for a number of reasons. First, detoxing at home is rarely successful. Many individuals quit the process and resume drinking as usual within the first 24 hours, just from the difficulty of managing the symptoms. Part of the issue is that the alcoholic does not have the support at home that he or she would have at a treatment center. There is a need for counseling, friends, helpful mentors, and group support that is rarely present in the home situation, and certainly not present 24 hours a day, 7 days a week. The alcoholic needs to be away from the trigger situations that are cues to drinking, like people, places, and bottles. The drinker may also need medical attention, because of the life-threatening physical and psychological symptoms that can happen during detox. Remember, it is NOT recommended that heavy drinkers perform detox on their own, without professional guidance. Delirium Tremens (the DTs) are the most dangerous withdrawal symptom for alcoholics, with the likelihood of them occurring to 1 in 10 individuals in withdrawal. The death rate from serious cases of DTs can be as high as 35%. The symptoms of delirium tremens can occur within 72 hours of alcohol withdrawal and can appear with no warning. DTs can happen at any time during the withdrawal period but are more likely to present during the first ten days. Grand mal seizures, during which a person can thrash about, swallow their tongue or bite it off, lose consciousness, or become physically hyper-strong. Heart functions can be compromised as pulse rate and blood pressure rises, and breathing may be suppressed, which causes the oxygen supply to the heart to decrease. The possibility of stroke or heart attack is increased. The alcoholic experiencing DTs may have hallucinations such as bugs crawling on their skin or spiders in the room. They may claw at their faces and rip at their skin. The individual can also do permanent damage to their eyes, believing that their eyes have become damaged because of the hallucinations. The alcoholic can become paranoid and attack someone because they believe they are being hunted or threatened. The alcoholic will be confused by the sugar withdrawal, which can result in an impaired judgment in critical situations. The individual may be anxious and agitated, not able to cope with social situations. Denial: They deny the problem, ignore their behavior, and withdraw from criticism and those that confront them with their addiction issues. Lack of control at a treatment center: They want to control the issue themselves as they have already lost control of their bodies and relationships. Fear of life: The individual knows that they don’t have the coping skills to have a normal life, so they choose a dysfunctional pattern. It may be bad but it is better than appearing inadequate. Stigma: Many people fear “what other people will think” if they go to rehab for help. They don’t realize that these “other people” they’re worried about already notice the addiction problem. The desire to die: The addicted individual has lost the desire to live and is using alcohol to commit a form of “slow suicide.” This type of person will drink until they die unless they receive an unwanted intervention. Cost: Many alcoholics will say that the cost is too prohibitive for them to seek professional help through a rehab center, but this is erroneous. Insurance will cover 30 days of rehab, Medicare will cover 30 days and if someone has no insurance at all, a judge can order rehab at no cost to the individual seeking help. In this article we have presented a number of facts about alcohol self-detox. Detoxing from alcohol on your own is a complex and risky process, so if you or a loved one attempt “DIY alcohol detox” and need to ask questions or seek help, please know that you can call our 24-hour hotline at (888)-459-5511 at any time to speak with a knowledgeable representative. i’m trying at home detox now. How do you detox at home? One of the main reasons alcoholics continue to drink is the physical dependency that becomes overwhelming when they try to stop. It seems most of the reasons listed are purely psychologically based when one of the key reasons a person continues in there alcoholic behavior is because stopping is no longer a choice for them physically. 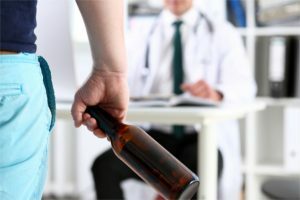 Upon stopping, the alcoholic becomes violently ill and and easier option to acquiring medications through a doctor is to simply continue self-medicating with a drink. my fear is that the meds prescribed by docs are just as addictive and dangerous – and combined with alchohol deadly!. Benzos are horrible to get off of. I had my own trouble getting off them due to anxiety I had a few years ago. Now my significant other is trying to detox and the recommended prescription is Ativan. What if he gets addicted to those instead, or worse, in addition to?? Am I going to talk him into getting treatment only to end up regretting it because of the addition of Ativan to the cocktail? I am so scared and worried right now because my husband is trying to detox at home. Two days ago, he was talking about suicide and wouldn’t go to the ER to be evaluated so I called the police and they “pink sheeted” him. He was evaluated in the ER and he contracted for safety and I had to take him home. The next day he had an appointment with his primary care doctor. My husband also has type 1 diabetes. The doctor prescribed an antidepressant for him. That’s when I spoke up and said he really has a daily drinking problem. The doctor said that the antidepressant wouldn’t be very effective if he continued to drink and that he recommended detox. My husband refused to detox in a hospital or facility and said he would do it at home. So, now he is quitting cold turkey, and I don’t know what will happen next. He went to work today. He said at lunch that he had a headache and his stomach was upset. I hope we can make it through this. We just lost our brother today to acholism and he to was trying to detox. He was a hard worker and had a good heart. He went to a Christian group home in hopes of recovering. Sadly he did not make it. While at the home he started to vomit several times throughout the night. He didn’t sleep. The next day he feel down and didnt get back up. This was all with 48 hours. If you have symtoms headaches, throwing up, shakiness you should go to the hospital. My brother chose not to go to the hospital and unfortunately he did not make it but we will always love him and love him for trying to better himself. Please get medical help if you are detoxing just to be on the safe side. I wish my brother would have been in a hospital setting where they could have maybe saved him. I would not recommend the benzos either as those are also addictive but being supervised with medical equipment on hand is necessary. Dont give up, God bless you on your journey. I am so scared. My fiance is getting ready to do the same thing and I want him to go to a medical facility but he refuses. Did your brother just decide to quit cold turkey or was he tapering off? I am so sorry about the loss of your brother. Im now even more terrified than I was before. How much alchohol does one has to drink for it to be unsafe to detox at home? Ans when do you know there is risk for seizures? My on and off significant other is going to die soon from alcohol. He has been drinking since he was 14. He is 42. It has escalated to a bottle of vodka a day and 15 or more seltzers. He has been in jail 3 times in the last month. Domestic violence, Assault and then drunk in public. He does not remember ever being incarcerated. he calls me and I bail him out. After the worst drinking binge over the holiday (it was ugly). I asked him to leave . He was temporarily staying with me because he couldn’t go back to his house where he strangled his roommate. Yesterday he was frantically trying to get Dr.’s appointments to help him detox. Well of course his appointments are next week or the week after. I talked to him this morning while he was on a job and he was very agitated and then started crying and hung up. I don’t what to do, he wants help. I’ve been through alcohol withdrawal so severe they let to the DTs. 5 times before I got sober. If anyone has any questions about the experience, feel free to message me. This article was one of the most objective and informative that I found during my struggle. My withdrawal was compounded by severe anorexia, and it is a blessing and a miracle that I am still alive. I am here to answer any questions I can. Be well! My son is on his way to my house to detox / tapper off from his drinking. He is 34 and has been drinking 2-3 years heavily and regularly, nearly every night I believe. He does not have health insurance so rehab is not an option. I have all the vitamins and schedules I could find to help him. Do you have an update? I’m attempting this method as of this moment. My husband is really bad. He functions but barely. We are trying to taper off, he was at 30 (16 oz) beers in a 24 hour span. I have successfully reduced him down to 15 (16 oz). in a 24 hour period, we are now going to 9 (16 oz) The only problem is he wants more. When they are gone he keeps walking to the refrigerator looking for more. He drinks those 9, which was the first day today in 2 hours. Should I take him for a walk? Read to him? What? I’m so scared. This has been horrible we are like patient and caretaker. We are not even like a married couple. He hasn’t touched nor showed me anything remotely close to affection for 2 months. I’m afraid I’m losing him. Your situation is very similar to what I am and have been going through with my sons father for several years. He has detoxed at home several times as well in the Emergency Room where medication and assistance could be provided. They will not turn him away if he makes the decision to go. Detoxing at home is VERY. Difficult. I have personally done it myself and unless he has SERIOUS will power to quit he will more than likely give in Bedford the process completes. The amounts you are talking about are huge. This is an extreme case, I don’t think you can succeed at home, you need to seek medical help ASAP. God bless. Thank you. I have anxiety and itchy skin and agitation. Feel like my pulse is racing but it isn’t. 55 female heavy drinker. Excellent health otherwise. Trying to detox. Suggestions? My husband is in the hospital going through detox. When he goes home, should I throw away any alcohol lrft in the house? I expect him to demand more alcohol. What do I do? I have self detoxed many times. I’ve been a binge drinker for a few years – when I binge its about a liter of vodka per day. I spent 60 days in treatment last year and it was great. I relapsed This past week it rose to about 1.5 liters of vodka. I’m currently on day 2 and this has been the worst I’ve ever experienced. Vomiting, body aches, throwing up blood. My advice is to stay hydrated with electrolytes, try to get some vitimans and especially B vitimans, you can talk to a doctor to prescribe anti anxiety meds and anti nausea pills too. I’ve gone to detox twice and it wasn’t a bad experience.. I would definitely be doing that today but we have family Christmas but I already told my father that if I haven’t improved that I’ll need to go. Hope this helps and good luck. All your replies are very helpfull, it might be us, our neighbor, family member,friends or even your husband or wife please give a helping hand. Most alcoholics live in denial and they take alcohol Inexcess to hide their true feelings as most of them would feel, unwanted, defeated or not loved. Let’s help them sober up and know their self worthy. I am on my route to do a detox at home and all these reply are amazingly going to assist me greatly. And I would love to help most of friends and family who are alcoholics to vist this page much love thanks!!!!! My boyfriend has decided to detox at home and look for a job at the same time. He’s self monitoring his taper off which I know is a mistake. I’m taking him to my place in the country and hope that’ll help. Quiet, serene, off the beaten path in a dry county. He says he quit before in December. I met him in January and noticed he drank a lot of vodka, a liter every day or so. As a recovering alcoholic with 35 years of sobriety, I’m aware of the dangers of self detox for very heavy drinkers. I’d like to be prepared to support his efforts without contributing to his demise! Suggestions please!!! My boyfriend has been drinking since 15. He is now 61, severely diabetic and takes 8 – 10 Ativan in a day. He has had a stroke, heart attack, and cannot stop eating sweete. He is a binge drinker and drinks beer.. a lot in one setting. Severe withdrawals for next 3 days, anxiety off the chatts and itching all over when he is withdrawing. He is in denial and will not go to rehab for fear he will be tapered off the Ativan too quickly. He has taken this benzine for years. He is now trying to detox at home which is really awful. Every symptom you can think of. It is so sad to watch. Trying to talk to him gets nowhere. He cannot manage his blood sugar at this point. There are serious mental problems that we cannot explore as doctors say a mental assessment is a waste of time while drinking and taking Ativan. A rehab will not take him and allow the Ativan. This is a living hell watching the one you love destroy himself. He is very afraid and therefore trying to detox on his own. I beg him to go to medical detox but he says he will die if they take him off the Ativan too fast. Never ever take this drug as it takes years to recover from. It steals your life, and trying to come off feels like someone pushed you into hell. I pray for alcoholics because they want off this hamster wheel so much but the brain chemistry has been so changed they are happier when they are drunk… cravings so great, anxiety so intense, angry, depressed, paranoid, muscles hurt, just barely alive. We that love them die along with them each day. So so hard living in fear as we suffer along with them while alcohol whispers in their ear “ she is selfish” Pray for our family that we can get him into a medical detox with dual diagnosis. If anyone knows a seriously good rehab please share with me. Again, God have mercy on us. This Easter we know the Bible says “by his strips we are healed” and the finished wiork on the cross made a way back to God. My person believes God had forsaken him but it is not true.. the sick must do the work. It is easy for us that are blessed with good health to say,. The escape from addiction is so difficult. The hope is God will walk it with them as he said he would never leave or forsake us. This is our hope this Easter. I detoxed in the hospital after a seizure and stage 4 cirrhosis diagnosis. When they weened me off the Librium I found gelatin, popsicles, electrolyte drinks ie Body Armor or Gatorade (just an example) Benadryl helped with the nausea & keep hydrated. I took magnesium and vitamin b as well. Calcium and vitamin d helped with muscle cramping. Once I felt like eating eggs and hot cereal were my savior. It was the hardest thing I’ve ever done, but when it was over I felt stronger and more determined than ever.